Liam Neeson has just become one of the titular Men in Black. As confirmed by The Hollywood Reporter, Neeson is in negotiations to star in Sony's upcoming Men in Black spinoff. He'll join Thor: Ragnarok costars Chris Hemsworth and Tessa Thompson for the movie, which has Fate of the Furious filmmaker F. Gary Gray on board to direct. Iron Man screenwriters Matt Holloway and Art Marcum penned the pic's script. Though Hemsworth and Thompson do essentially "take over" for Will Smith and Tommy Lee Jones, who portraying Agent J and Agent K, respectively in the original Men in Black trilogy, they aren't playing the same characters. The spinoff will take place in the same onscreen universe, however, and will see Neeson portray the head of the Men in Black organization in London, where the film's story starts off. Not much else is known about the Men in Black spinoff, but studio Sony did just unveil the first promotional poster for the flick during this week's Licensing Expo in Las Vegas. Couple that reveal with this casting news, and it appears big things are happening behind the scenes of the new Men in Black. Sony has the Men and Black spinoff set for a June 14, 2019 debut. 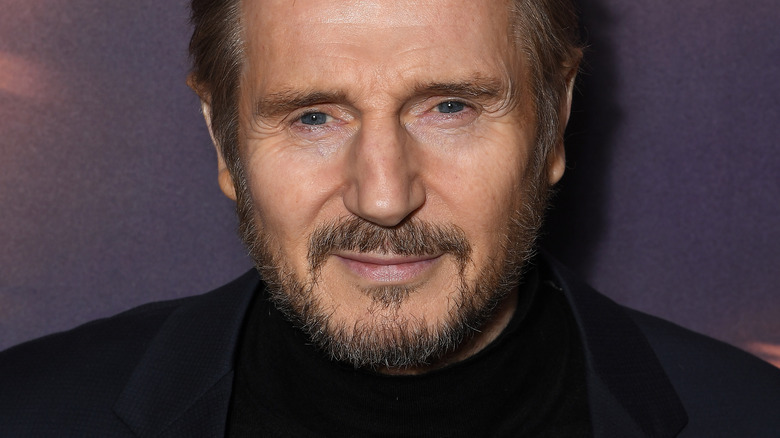 Fans can next catch Neeson, who appeared in The Commuter earlier this year, in Steve McQueen's Widows, which will be released on November 16.